It’ll be a miracle if you can get through this mind-bending conclusion with your sanity intact! After his epic battle with Darkseid, Scott Free sees life a whole new way: he’s the new Highfather of New Genesis, and he’s madly in love with his wife and child. But what if it’s all a lie? 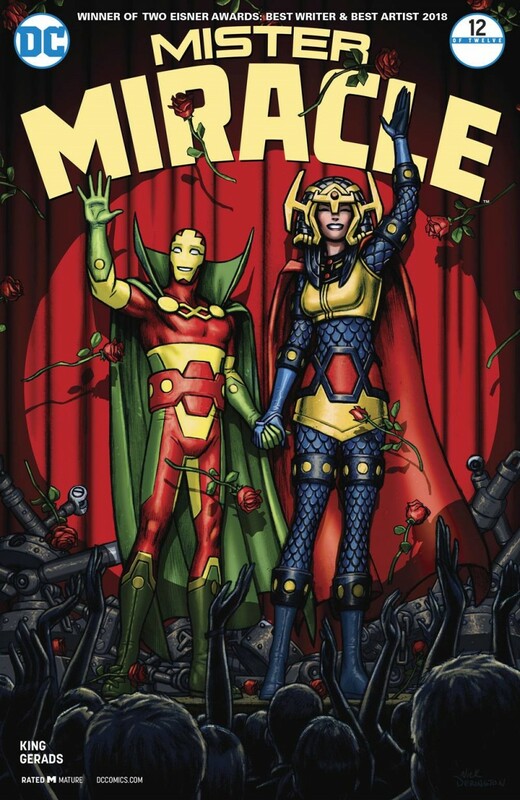 Did Mister Miracle really escape death way back in issue #1? No one really knows but Tom King and Mitch Gerads!